Pass The Butter . Please. Margarine was originally manufactured to fatten turkeys. When it killed the turkeys, the people who had put all the money into the research wanted a payback. So they put their heads together to figure out what to do with this product to get their money back. It was a white substance with no food appeal so they added the yellow coloring and sold it to people to use in place of butter. How do you like it? They have come out with some clever new flavors. DO YOU KNOW . . . The difference between margarine and butter? Read on to the end…gets very interesting! Both have the same number of calories. 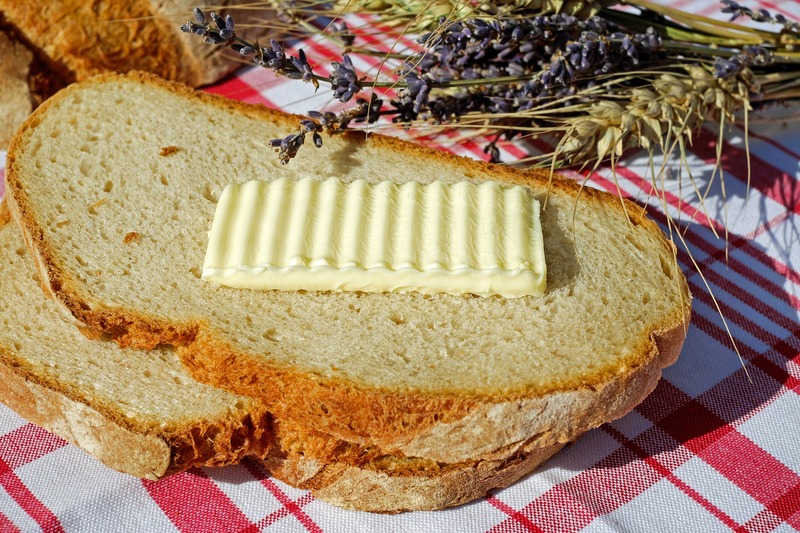 Butter has been around for centuries, while margarine has been around for less than 100 years. And now, for margarine . . .
Increases total cholesterol and LDL (this is the bad cholesterol) and lowers HDL cholesterol, (the good cholesterol). And here’s the most disturbing fact…… HERE IS THE PART THAT IS VERY INTERESTING! Margarine is but ONE MOLECULE away from being PLASTIC… and shares 27 ingredients with PAINT. These facts alone were enough to have me avoiding margarine for life and anything else that is hydrogenated (this means hydrogen is added, changing the molecular structure of the substance). You can try this yourself: Purchase a tub of margarine and leave it open in your garage or shaded area. Within a couple of days you will notice a couple of things: No flies, not even those pesky fruit flies, will go near it (that should tell you something). It does not rot or smell differently because it has no nutritional value. Nothing will grow on it. Even those teeny weeny microorganisms will not a find a home to grow. Why? Because it is nearly plastic. Would you melt your Tupperware and spread that on your toast? Pass the BUTTER please.